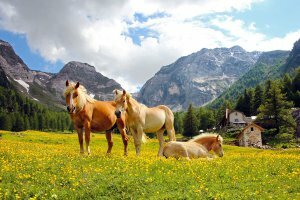 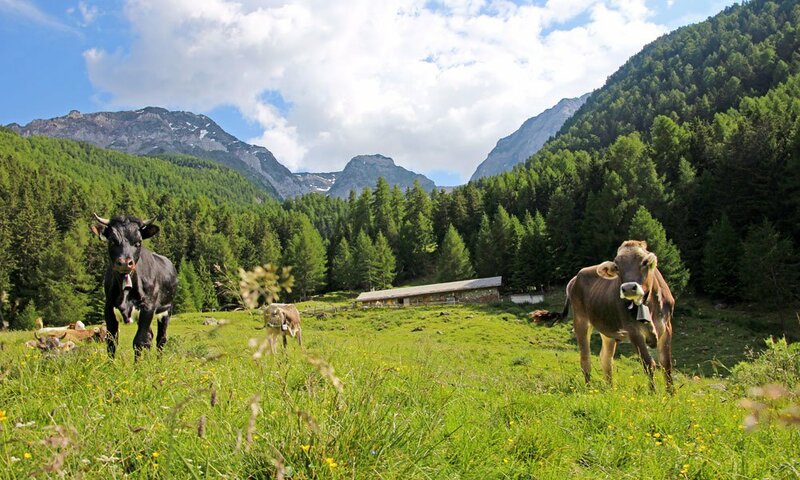 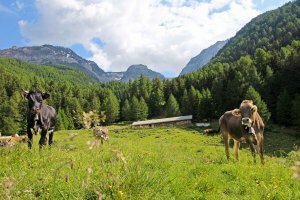 So close to nature: The Kleinalm in Val Venosta is located in the Stelvio National Park, at an altitude of 1,580 meters, and is surrounded by lush green meadows and dense forests. 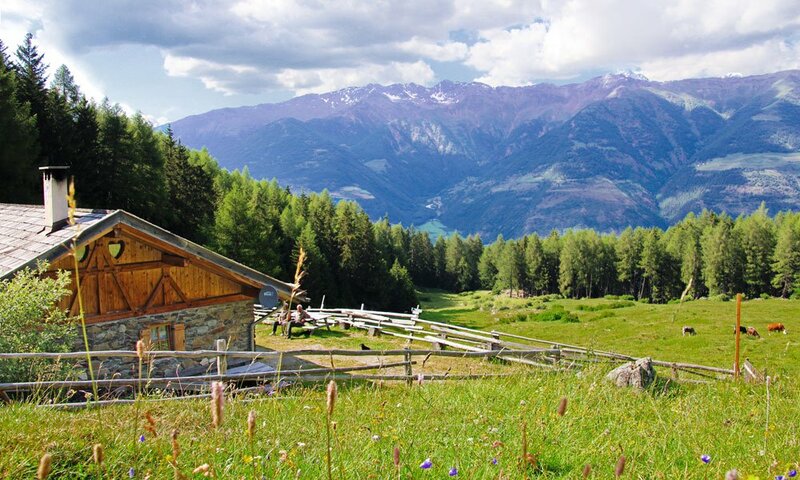 In the seclusion of the South Tyrolean mountains you may spend relaxing holidays in a natural setting. 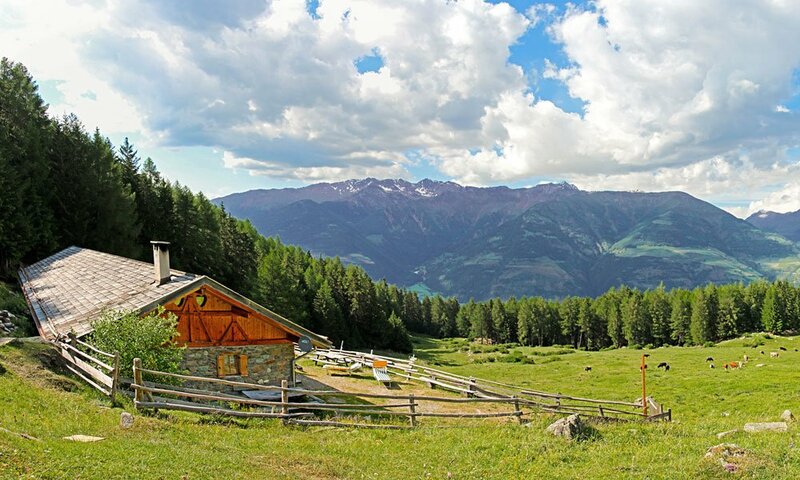 You can rent this lonely alpine hut far away from the tourist bustle, enjoy a break and leave the stress of everyday life behind. 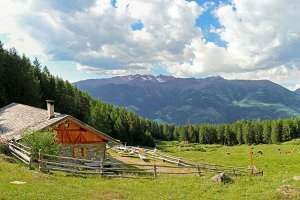 Beautiful hiking trails start directly at the Kleinalm. 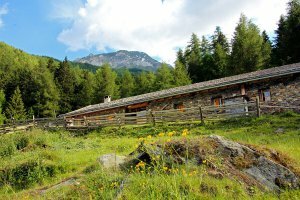 Sit on the wooden bench in front of the hut and admire a fantastic sunset – and the next morning, enjoy your breakfast outdoors in the warm sun. 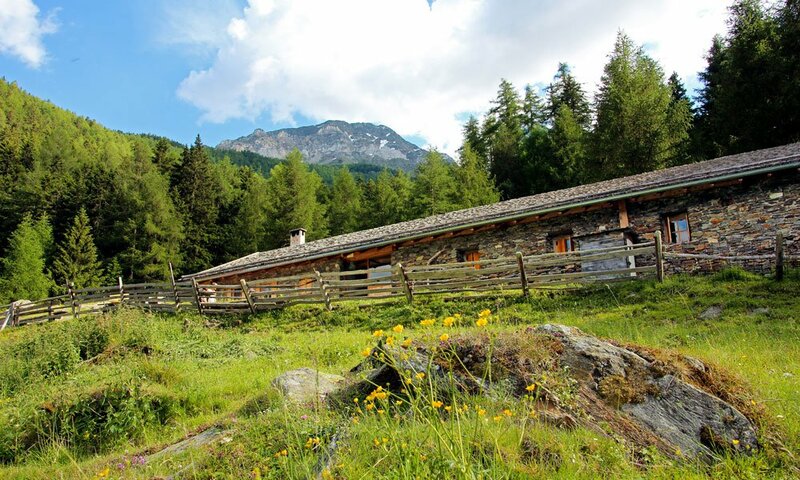 The secluded Kleinalm in Val Venosta is open all year round and offers a cosy accommodation for up to 12 people. 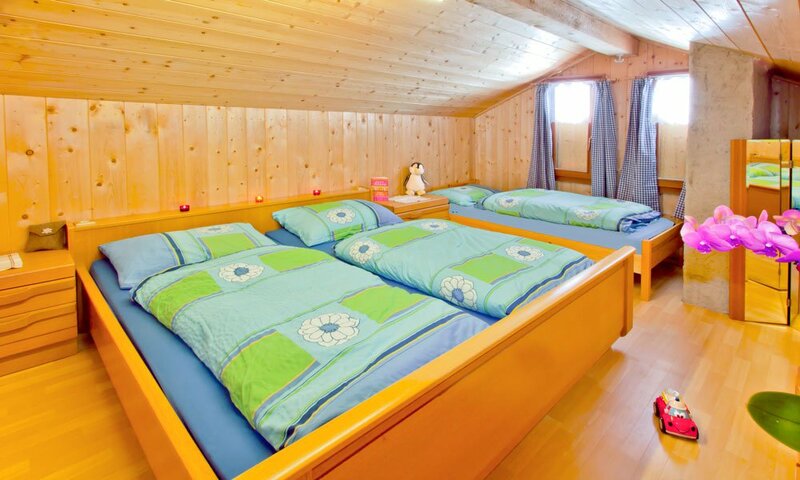 A double and a triple room are located upstairs. 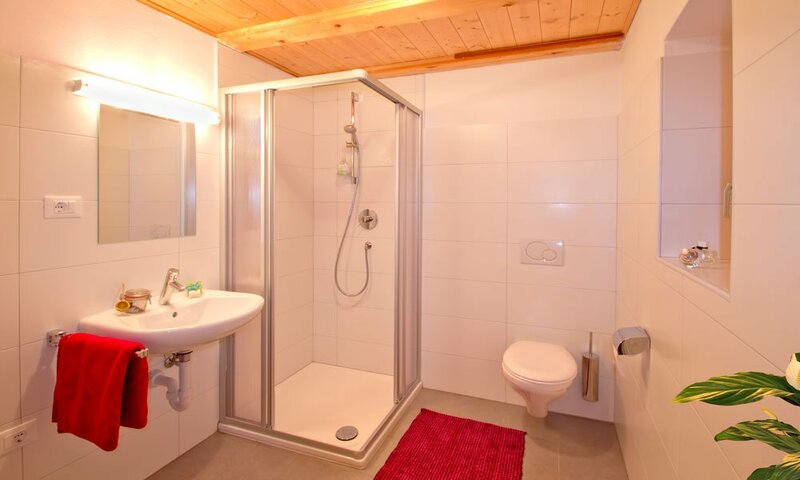 On the ground floor you will find two more bedrooms and a bathroom with toilet. 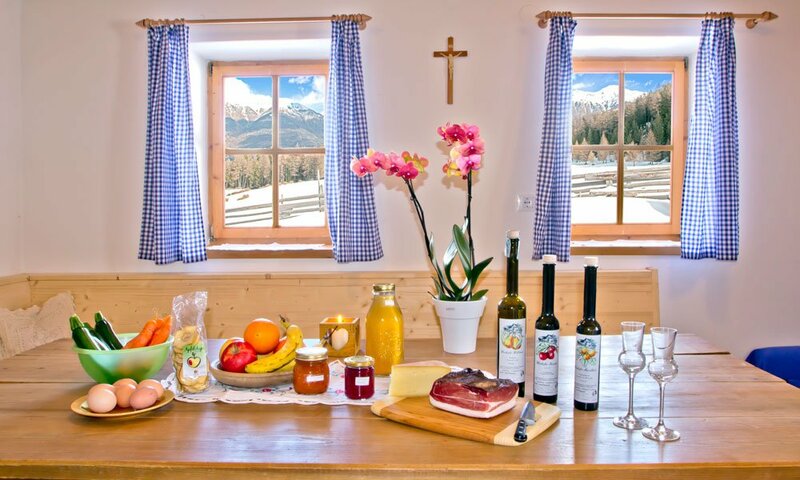 The heart of the hut is the spacious eat-in kitchen. 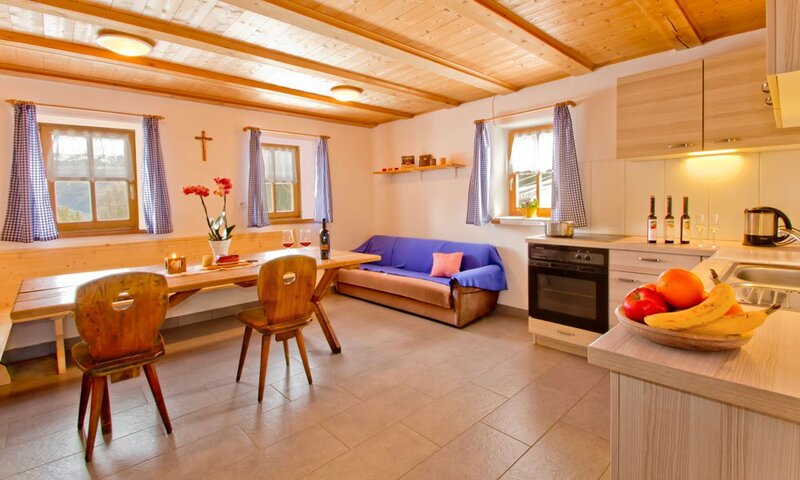 The kitchen unit has been recently refurbishment and equipped with modern appliances and cooking utensils. 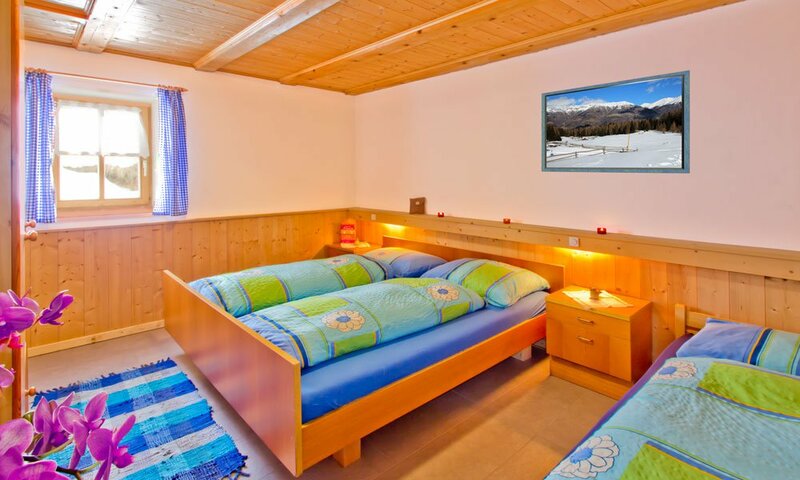 The cabin offers also satellite TV, fridge and freezer. 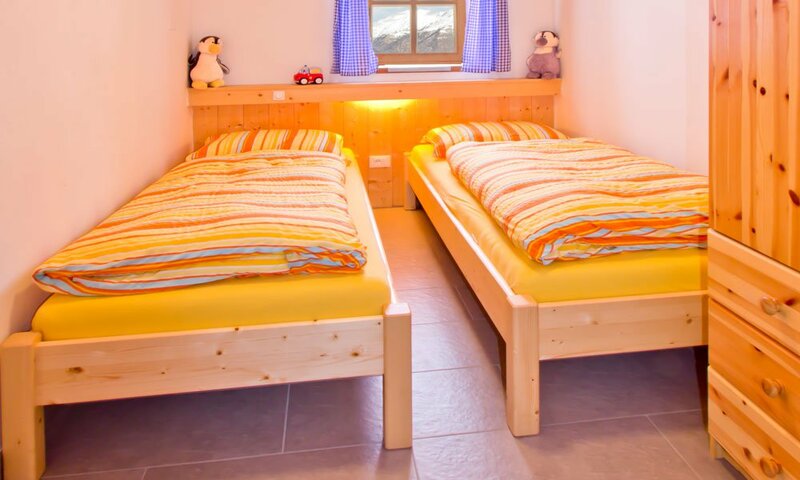 Spend a special holiday with the entire family in an alpine setting. 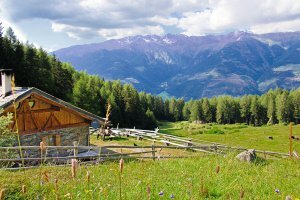 In every season, on the Kleinalm you will spend a unique nature holiday. 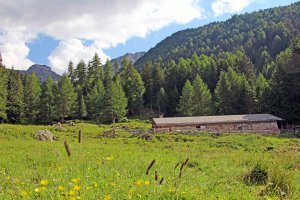 In the summer, varied hiking trails invite guests to spend time outdoors. 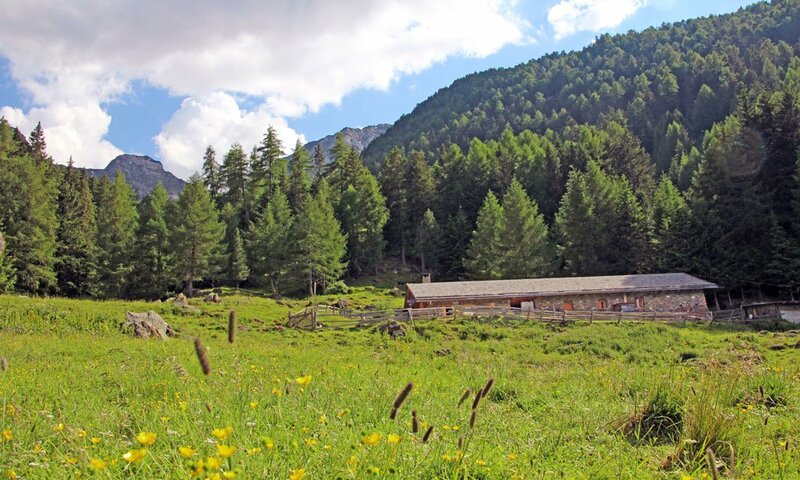 On 1862 meters altitude, on the Covelano Alp you make take a break – the lodge is open until the end of October, depending on the weather conditions. 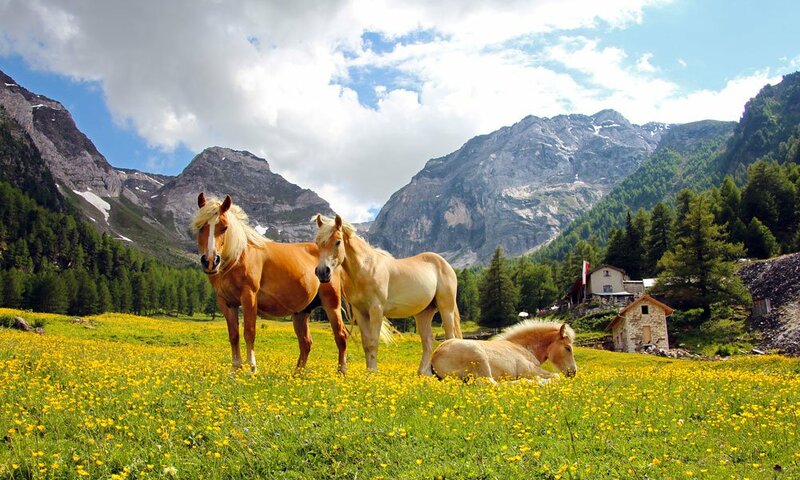 After half an hour you will reach the alp. 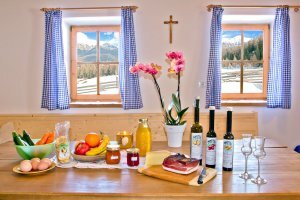 South Tyrolean dishes await you on the farm Haslhof, which you can reach in one and a half hour walk. 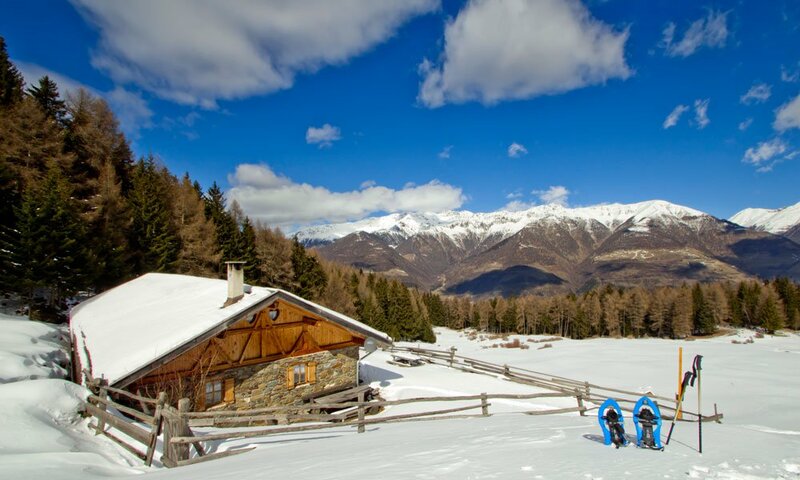 In the winter, the snow-covered landscapes around the Kleinalm are ideal for snowshoeing and ski tours.